Even with the difference in voltage and power standards around the world, it is common for Australians to bring electronics and appliances with them to use on Australian mains power. This is thanks to voltage converter transformers. When an electronic device, power tool or appliance was built for a specific voltage which is not available in Australia, the only solution to make it useful is converting the power up or down to the correct level. A voltage converter transformer is a device that decreases or increase voltage. It allows individuals to plug an outlet that diffuses a different amount of volts than what the equipment requires. For example, with a step-down voltage converter transformer, a product that uses only 110 volts of energy can be used with an outlet that diffuse 220 volts. In this instance, the voltage converter reduces the electrical energy to the necessary and desired level your electronic item needs to work properly. Below you will find helpful information about different types of voltage converter transformers available and how to choose the right one. There are two types of voltage converters” step down and step up voltage converters. Step down models are designed to step down the electricity in the countries that use 220 240 volts like Australia. These reduce the electricity to 110 volts so you can use 110-volt appliances and electronics. 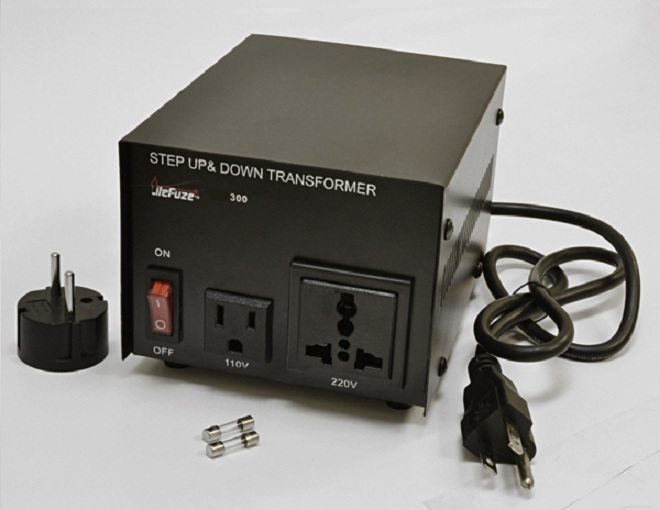 Step up models, on the other hand, allow the user to step-up from 110 volts to 220 volts. Sometimes, a step up converter can also work for step down, meaning it can be used in both ways. This type of converter is known as a 2-way converter. If you’ve purchased electronics or appliances in a 110-volt country and now need to use them in Australia, a step-down converter is what you need. If you’ve purchased electronics or appliance in Australia and will be using them in a 110-volt country, a step-up converter will be necessary. To help you identify the correct voltage being used in the area you will be travelling to use a global voltage guide map, which can be easily found online. When it comes to the size of a voltage converter, it is defined by the wattage. Therefore, the size you will need depends on which device you will be using and the number of watts they use. Experts recommend using a voltage converter that has a wattage that is 2 to 3 times higher than your appliance. This extra wattage serves as a precautionary measure to ensure that your equipment will function properly and that the converter won’t be damaged. This entry was posted in Electronics and tagged converter, converter transformer, converters by australiaonline. Bookmark the permalink.